England internationals Sam Curran, Tom Curran and Ben Foakes have all extended their contracts with Surrey. 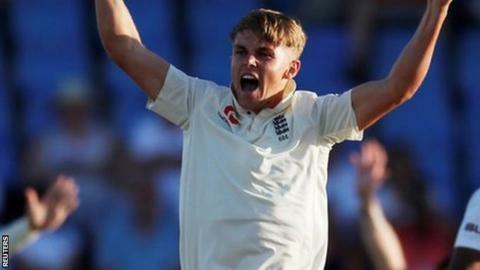 All-rounder Sam Curran, 20, has signed until the end of the 2020 season, having made his Test debut last summer. His brother Tom, 23, and Test wicketkeeper Foakes, 25, will be with the county champions until 2021. "It's a credit to the club that our players want to sign extensions and help build on last year's success," said director of cricket Alec Stewart. Sam Curran and Foakes are both involved in the current series against West Indies, while Tom made his Test debut in Australia in 2017.